Lab Supply is proud to provide a huge selection of rodent diets from LabDiet to our customers. Rat Diet 5012 is formulated to deliver excellent nutrition throughout the entire life-cycle of your rodents. This diet for rats is designed to help support reproduction, lactation, growth and maintenance among your rats. This diet is formulated with the with consistency in mind, so that it may be used in long term research studies without having to worry about much biological variation. Rat Diet 5012 is low in cholesterol and has an increased level of unsaturated fatty acids when compared to other rodent diets. If you would like more information about Rat Diet 5012, including a complete nutritional profile, then please click here to view the product PDF. Here at Lab Supply, we are committed to making sure you find exactly what you are looking for. 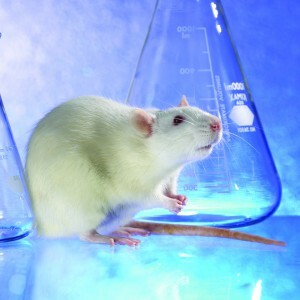 If you have any questions about Rat Diet 5012, then please click here to visit our contact page. We will be more than happy to answer any questions you may have.